Cataract surgery is a fairly common procedure to remove a cloudy lens, that is a cataract, from inside the eye to restore vision. 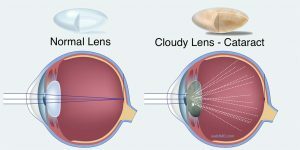 The cloudy lens inside the eye is replaced with an artificial lens or intraocular lens (IOL). Cataracts generally occur as a natural aging process. However, they can also occur at birth (congenital) or caused by a drug, chemical, or physical injury. Cataracts may go unnoticed at the onset because the cloudiness presents gradually and vision is only mildly affected. Eventually, cataracts worsen and begin to impair vision and ultimately require cataract surgery. 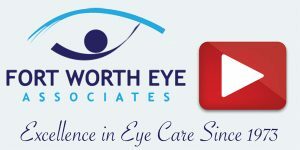 At Fort Worth Eye Associates, Dr. H. William Ranelle and Dr. Ann Ranelle constantly strive to achieve outstanding vision results for each patient by understanding their individual needs and comfort. 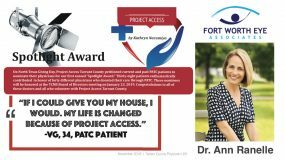 Fort Worth Eye Associates offers advanced technologies for choosing the appropriate lens implant and treatment plan for each patient. 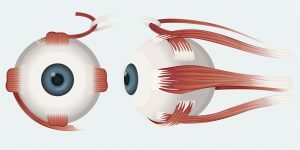 Cataracts form when, as we age, the lenses of our eyes (located behind the irises, or colored portion of the eyes) become thicker and less flexible causing eye tissue to break down and cloud the lenses. As light enters the eye, the lens produces images onto the retina at the back of the eye. As more of the eye tissue breaks down, the cloudiness (cataract) scatters the light entering the lens and the images become less sharp thus blurring vision. 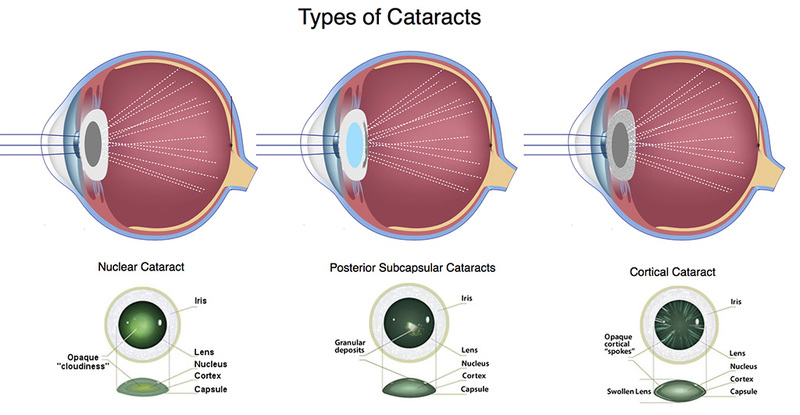 Cataracts generally occur in both eyes at a similar but not identical rate, but in some cases, may affect only one eye. Because cataracts often develop at a slightly different pace, one eye may require cataract surgery before the procedure is necessary on the other eye. Typically, cataract surgeries for both eyes are not performed at the same time, but are scheduled a few weeks apart, correcting the more affected eye first. Nuclear cataracts: Cataracts that affect the middle of the eye lens and characterized by increased nearsightedness at the onset, then a yellowing to browning of the lens that can make distinguishing color shades difficult. If your doctor determines that cataracts are present, treatment will depend upon the severity of your vision symptoms. For mild cataracts, your doctor may take a watchful approach and recommend a reexamination at a later time to evaluate cataract progression. Very mild cataracts typically do not require surgery; only when the cloudy lenses adversely affect quality of life is surgery performed. 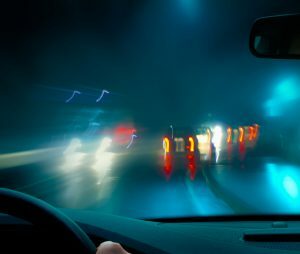 Having an up-to-date vision prescription and using bright lighting whenever possible will ease cataract symptoms early in the process, however, when vision problems become more noticeable and begin to interfere with daily activities, cataract surgery will be necessary to restore sharp vision. 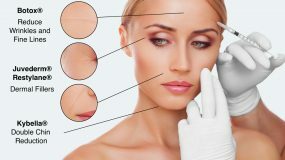 Cataract surgery is one of the most commonly performed operations worldwide and is considered to be an extremely safe and effective outpatient procedure. 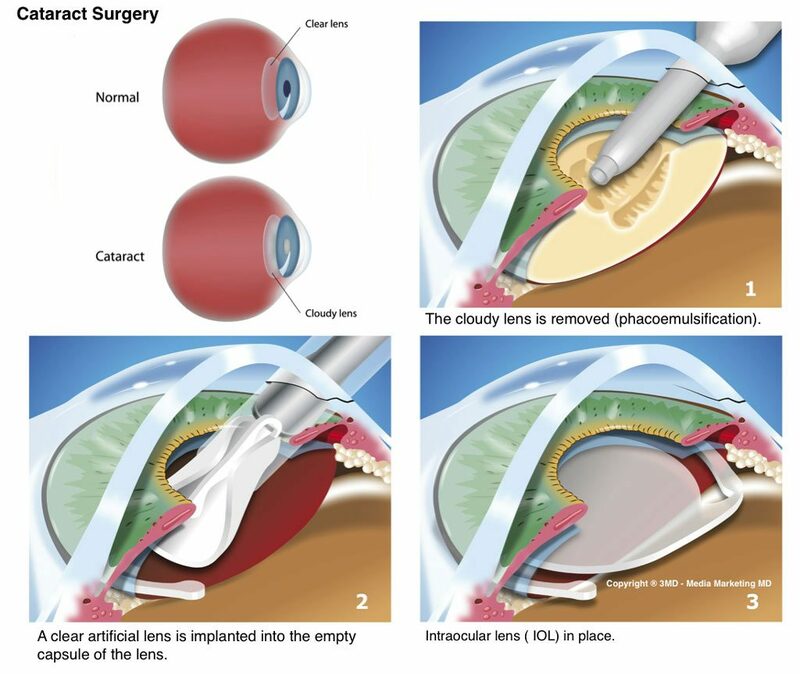 During cataract surgery, your doctor will numb the eye with local anesthesia, remove the cloudy lens of the eye, and replace the lens with a clear artificial lens called an intraocular lens (IOL). 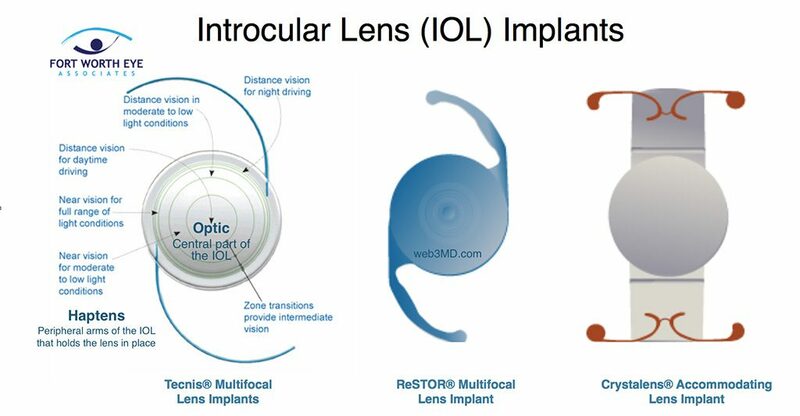 Your doctor will assist you in choosing the appropriate intraocular lens implant that best suits your lifestyle and vision needs. All implants give you good distance vision, but the Crystalens®, TECNIS® Multifocal lens, and ReSTOR® lens implants give reading vision as well. Cataract surgery is typically completed in less than an hour (including recovery), after which you are able to return home. After your cataract procedure, someone will need to drive you home and your doctor will supply sunglasses to protect your eyes during the ride. Postoperative recovery for cataract surgery usually takes just a few days, during which you may experience some mild eye discomfort. You will be given a protective shield for your eye which your doctor will instruct you when to remove and when to replace. The eye shield is generally used during sleep for several days. 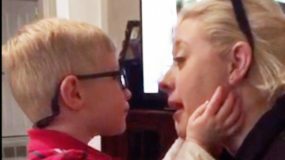 Vision may seem blurry when the eye shield is first removed. This distorted vision is normal while your eye becomes accustomed to the intraocular lens. 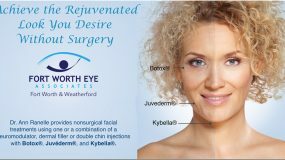 After your cataract surgery, your doctor will give you detailed postoperative instructions and answer any questions you may have, and you should feel free to contact our office with questions or concerns any time during your at-home recovery. A follow-up appointment will be scheduled after your cataract surgery to check on the progress of your healing, which is generally completed within 8 weeks. If you are experiencing symptoms of cataracts or vision problems of any kind, contact our office for a complete eye evaluation. 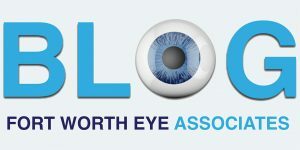 Our goal at Fort Worth Eye Associates is to achieve the best possible vision results for every patient through the use of advanced technology and by understanding the unique needs of each individual. 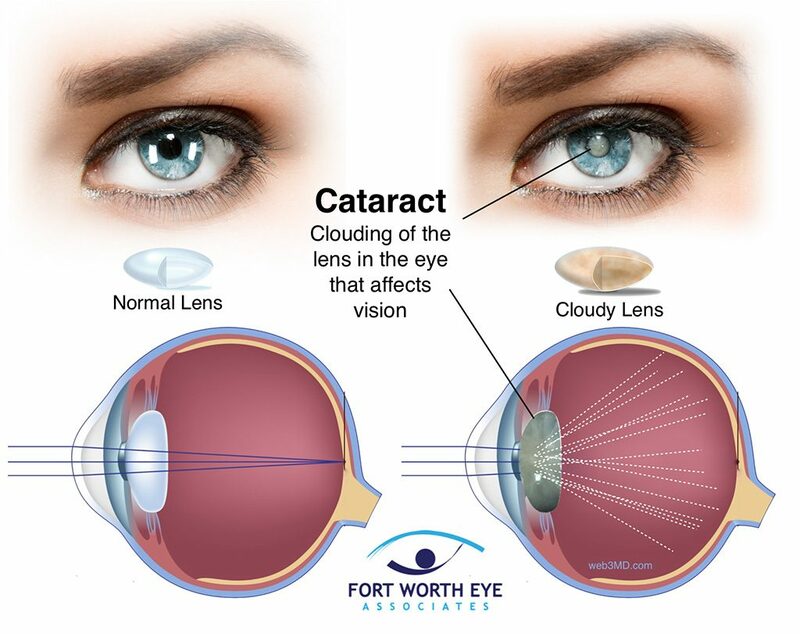 If you would like to learn more about cataracts, please call our Fort Worth office at 817-732-5593.